Wherever you are on this earth, there are plenty of opportunities to share the good news of the gospel of Jesus Christ. Last month the Twelve were invited by our dear prophet, President Russell M. Nelson, to travel with him to the dedication of the Rome Italy Temple. While traveling, I thought about the Apostle Paul and his journeys. In his day, to get from Jerusalem to Rome, it would have taken about 40 days. Today, in one of my favorite airplanes, it takes less than 3 hours. Bible scholars believe that Paul was in Rome when he wrote several of his letters, which were key in strengthening Church members then as well as today. Paul and the other members of the ancient Church, the Early-day Saints, were intimately familiar with sacrifice. Many were severely persecuted, even unto death. In the last 200 years, the members of the restored Church of Jesus Christ, the Latter-day Saints, have also experienced persecution in many forms. 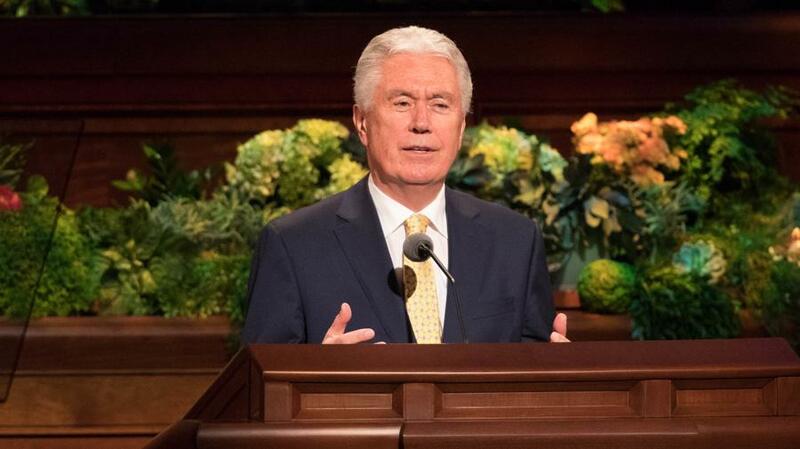 But in spite of that persecution (and sometimes because of it), The Church of Jesus Christ of Latter-day Saints has continued to grow and is now found all across the globe. However, before we bake a cake, throw confetti, and congratulate ourselves on this remarkable success, we would do well to put that growth into perspective. Even in the Lord’s restored Church—while overall membership continues to grow—there are too many who do not claim the blessings of regular Church participation. In other words, wherever you are on this earth, there are plenty of opportunities to share the good news3 of the gospel of Jesus Christ with people you meet, study with, and live with or work and socialize with. Members of the Church of Jesus Christ—both in past times as well as in ours—have enthusiastically and joyfully shared the gospel with friends and acquaintances. Their hearts are aflame with the testimony of Jesus Christ, and they sincerely want others to experience the same joy they have found in the Savior’s gospel. Some members of the Church seem to have a gift for this. They love being ambassadors of the gospel. They boldly and gladly serve and lead the work as member missionaries. However, others of us are more hesitant. 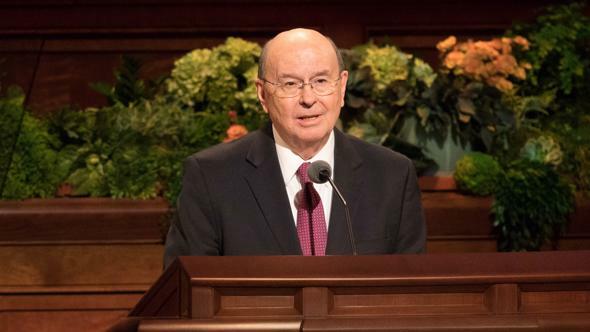 When missionary work is discussed in Church meetings, heads are slowly lowered until submerged behind the pew, eyes focused on the scriptures or closed in deep meditation to avoid eye contact with other members. Why is this? Maybe we feel guilty for not doing more to share the gospel. Perhaps we feel uncertain about how to do it. Or we might feel timid about going outside our comfort zone. 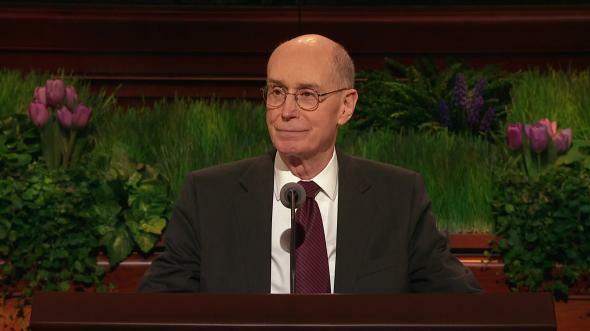 If you are already happily doing missionary work, please continue, and stand as an example to others. The Lord will bless you. If, however, you feel that you have been dragging your feet when it comes to sharing the gospel message, may I suggest five guilt-free things anyone can do to participate in the Savior’s great commission to help gather Israel? The closer you draw to our Heavenly Father, the more His light and joy will shine from within you. Others will notice that there is something unique and special about you. And they will ask about it. Second, fill your heart with love for others. This is the second great commandment.9 Try to truly see everyone around you as a child of God. Minister to them—regardless of whether their names appear on your ministering sister or brother list. Laugh with them. Rejoice with them. Weep with them. Respect them. Heal, lift, and strengthen them. Strive to emulate the love of Christ and have compassion for others—even to those who are unkind to you, who mock you and wish to cause you harm. Love them and treat them as fellow children of Heavenly Father. Third, strive to walk the path of discipleship. As your love for God and His children deepens, so does your commitment to follow Jesus Christ. You learn about His way by feasting upon His word and heeding and applying the teachings of modern prophets and apostles. You grow in confidence and courage to follow His way as you communicate with Heavenly Father with a teachable, humble heart. Walking the path of discipleship takes practice—each day, little by little, “grace for grace,”10 “line upon line.”11 Sometimes two steps forward and one step back. The important thing is that you don’t give up; keep trying to get it right. You will eventually become better, happier, and more authentic. Talking with others about your faith will become normal and natural. In fact, the gospel will be such an essential, precious part of your lives that it would feel unnatural not to talk about it with others. That may not happen immediately—it is a lifelong effort. But it will happen. There are many normal and natural ways to do this, from daily acts of kindness to personal testimonials on YouTube, Facebook, Instagram, or Twitter to simple conversations with people you meet. This year we are learning from the New Testament in our homes and in Sunday School. What a marvelous opportunity to invite friends and neighbors to church and your homes to learn about the Savior with you. Share with them the Gospel Library app, where they can find Come, Follow Me. If you know young people and their families, give them the For the Strength of Youth booklet and invite them to come and see how our young people strive to live by those principles. If someone asks about your weekend, don’t hesitate to talk about what you experienced at church. Tell about the little children who stood in front of a congregation and sang with eagerness how they are trying to be like Jesus. Talk about the group of youth who spent time helping the elderly in rest homes to compile personal histories. Talk about the recent change in our Sunday meeting schedule and how it blesses your family. Or explain why we emphasize that this is the Church of Jesus Christ and that we are Latter-day Saints, just as the members of the ancient Church were also called Saints. In whatever ways seem natural and normal to you, share with people why Jesus Christ and His Church are important to you. Invite them to “come and see.”16 Then encourage them to come and help. There are numerous opportunities for people to help in our Church. Pray not only for the missionaries to find the elect. Pray daily with all your heart that you will find those who will come and see, come and help, and come and stay. Keep the full-time missionaries in the loop. They are like angels, ready to help! As you share the good news, the gospel of Jesus Christ, do so with love and patience. If we interact with people with the sole expectation that they soon will don a white jumpsuit and ask for directions to the nearest baptismal font, we’re doing it wrong. Some who come and see will, perhaps, never join the Church; some will at a later time. That is their choice. But that doesn’t change our love for them. And it doesn’t change our enthusiastic efforts to continue inviting individuals and families to come and see, come and help, and come and stay. Fifth, trust the Lord to work His miracles. Understand that it’s not your job to convert people. That is the role of the Holy Ghost. Your role is to share what is in your heart and live consistent with your beliefs. So, don’t be discouraged if someone does not accept the gospel message immediately. It is not a personal failure. That is between the individual and Heavenly Father. Yours is to love God and love your neighbors, His children. Follow this path, and God will work miracles through you to bless His precious children. These five suggestions will help you to do what disciples of Jesus Christ have done since ancient times. His gospel and His Church are an important part of your life and of who you are and what you do. Therefore, invite others to come and see and come and help, and God will do His saving work, and they will come and stay. But What If It’s Hard? Remember, the Lord works in mysterious ways. It may be that by your Christlike response to rejection a hardened heart could be softened. 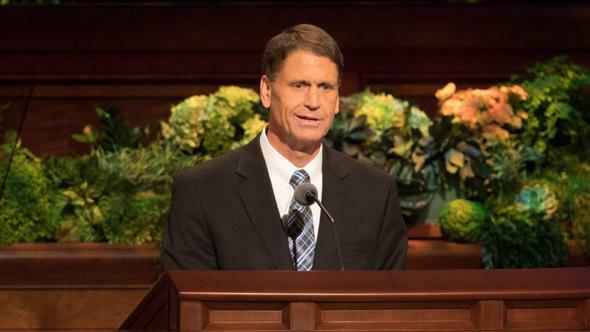 As an Apostle of the Lord Jesus Christ, I bless you with the confidence to be a living testimonial of gospel values, with the courage to always be recognized as a member of The Church of Jesus Christ of Latter-day Saints, with the humility to assist in His work as an expression of your love for Heavenly Father and His children. Heavenly Father knows you. The Lord loves you. God will bless you. This work is ordained of Him. You can do this. We can all do this together. The great prophet Nephi saw in vision that even though the Church of the Lamb of God would spread “upon all the face of the earth,” because of wickedness in the world its overall “numbers [would be] few” (1 Nephi 14:12; see also Luke 12:32). For example, a recent study by the Pew Research Center found that in the United States, “the percentage of adults (ages 18 and older) who describe themselves as Christians has dropped by nearly eight percentage points in just seven years, from 78.4% in … 2007 to 70.6% in 2014. Over the same period, the percentage of Americans who are religiously unaffiliated—describing themselves as atheist, agnostic or ‘nothing in particular’—has jumped more than six points, from 16.1% to 22.8%” (“America’s Changing Religious Landscape,” Pew Research Center, May 12, 2015, pewforum.org). 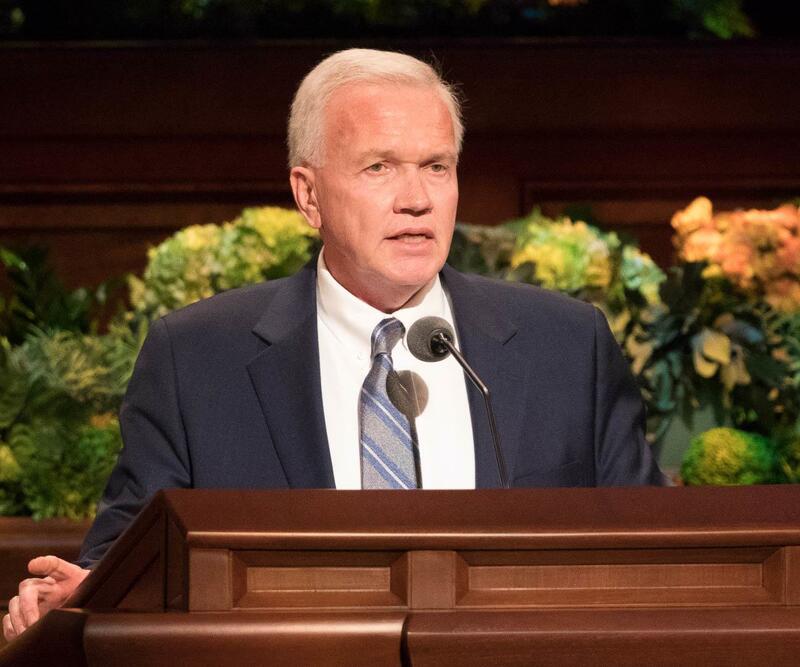 The word gospel means “good news.” The good news is that Jesus Christ has made a perfect Atonement that will redeem all mankind from the grave and reward each individual according to his or her works. This Atonement began with His appointment in the premortal world, continued during His mortal sojourn, and culminated with His glorious Resurrection. The biblical records of His mortal life, ministry, and sacrifice are called the Gospels: Matthew, Mark, Luke, and John. 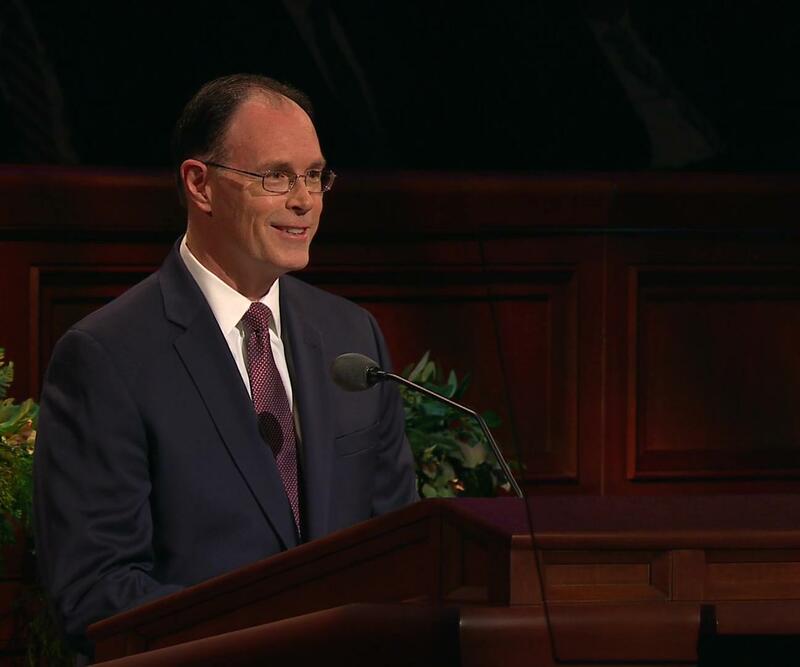 “Verily I say unto you, my friends, I leave these sayings with you to ponder in your hearts” (Doctrine and Covenants 88:62). “Behold, I say unto you, that you must study it out in your mind; then you must ask me if it be right, and if it is right I will cause that your bosom shall burn within you; therefore, you shall feel that it is right” (Doctrine and Covenants 9:8). President David O. McKay encouraged “every member [to be] a missionary” when he presided over the European Mission from 1922 to 1924, and he shared that same message with the Church in general conference as early as 1952 (see “‘Every Member a Missionary’ Motto Stands Firm Today,” Church News, Feb. 20, 2015, news.ChurchofJesusChrist.org). This thought is often attributed to Saint Francis of Assisi; see also John 10:36–38. 1 Peter 4:13, English Standard Version; see also verses 1–19 for more about how followers of Christ should view suffering for the gospel’s sake.